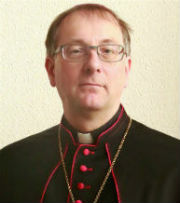 Bishop Johan Bonny of Antwerp has no problem with married priests. He also thinks the Belgian faithful would welcome women priests. Well, that’s nice for him and them. No really, what more can be said about it? While some things are certainly subject to desires and wishes, these two issues, for the most part, are not. I say for the most part, because the rule of priestly celibacy at least can theoretically be changed at some future time. Unlike the ordination of men only, it is not part of the body of faith that was handed down to us by Jesus Christ. Priestly celibacy was instituted for different reasons and, over the course of the centuries, turned out to have rather a few spiritual and practical benefits. Today, for different reasons, priests are required to be men and live celibate*. Why both these topics need to be rehashed time and again is, quite frankly, beyond me. Stating one’s objections to them will not change them. It’ll only add to the confusion, especially when, as in this case, it is a bishop saying it. For many faithful, the bishop is the face of the Church, and rightly so. With his priests, it is he who teaches, explains and defends the faith and he may be expected to do so in accordance with the faith as given by Christ to the Church to spread and defend. So, what a bishop says will by many people be understood as something that the Church says, thinks and believes. In the case of Bishop Bonny that clearly isn’t so. These times call for clear voices that can explain, communicate and, if need be, defend the faith and the teachings of the Church that flow from that faith. Rather than saying that, yes, he too would love to see married priests and women ordained, a bishop should rather explain in charity why this can’t be the case. Failing to do so only works to enhance the sheer ignorance about these topics that many people, faithful and non-faithful alike, sadly have. *There are exceptions to the rule of celibacy. Fr. Dwight Longenecker explains. Communication skills, or avoiding communicating the polar opposite of what we want to say. The bishop’s reasoning, while necessarily simplified, makes a certain amount of sense – the celibacy debate does not concern the suitability of individual married or unmarried priests, for example – but it also raises problems. For one, the way the bishop presents his points leaves the door wide open for misunderstanding. People in the know may grasp what he tries to say – or not – but those outside the Church will not. Men and women must indeed be allowed to take on duties in the Church according to their individual competencies. But what are the ‘levels’ the bishops mentions? Are those the levels of government, pastoral care, parish council duties, or even Holy Orders? Probably not the latter, considering what Bishop Bonny said earlier about the value he attaches to the unmarried priesthood and such, but many will not see it as such. And this is indicative of the communication problem of the Church and her bishops. Their intentions may be good, their reasoning sound, but they can still inadvertently communicate the polar opposite of what they mean. We – bishops, priests, religious and laity alike – have the duty to be open, honest, but certainly also clear about what we belief, and why. A comment like the one above will only strengthen the opinion of many that married men and women should be ordained as priests. And that is not something a bishop can and should say, even if he does so inadvertently. Posted on December 28, 2011 Categories World ChurchTags bishop johan bonny, celibacy, communication, holy orders, knack, priesthood, translation4 Comments on Communication skills, or avoiding communicating the polar opposite of what we want to say. A bishop punished too mildly? In many circles this punishment is deemed to be very light, but I think it should be considered for what it is, and what it can be. The Catholic Church owns no prisons and can therefore not incarcerate criminals. And even if they could, Msgr. 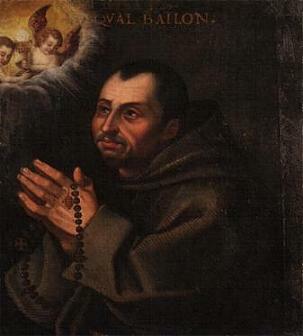 Vangheluwe could not be held under the terms of the law, as his crimes fall under the statute of limitations: canon and secular law agree that his crimes were committed too long ago for him to be punished now. Even so, as the nuncio’s statement says, this is no reason to leave things be. 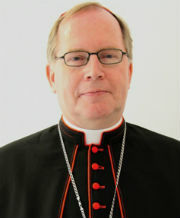 The former bishop is not permitted to remain in his native country, where his family and friends reside. Instead, he is to go somewhere else, presumable where the Church can keep tabs on him easily, to undergo treatment. Not just psychological, but also spiritual. This may not seem like much, but it touches upon the very core of one’s identity. In short, Msgr. Vangheluwe’s punishment is not called for by law, but is morally just. It is also not a mild punishment, but a considered one, and one that falls within the options available to the Church. And this may not yet be the end of it. Belgium could call for the extradition of the Vangheluwe, which means that whole new chapter opens in the case. EDIT: Catholic News Service now confirms that these steps are part of the ongoing investigation. Posted on April 12, 2011 April 12, 2011 Categories World ChurchTags abuse, archbishop giacinto berloco, belgium, bishop johan bonny, bishop roger vangheluwe, canon law, congregation for the doctrine of the faith5 Comments on A bishop punished too mildly? In a press conference earlier today, Archbishop André-Joseph Léonard, of Malines-Brussels, together with Bishops Johan Bonny (Antwerp) and Guy Harpigny (Tournai), outlined the new plans of the Belgian bishops to deal with the ongoing abuse crisis. 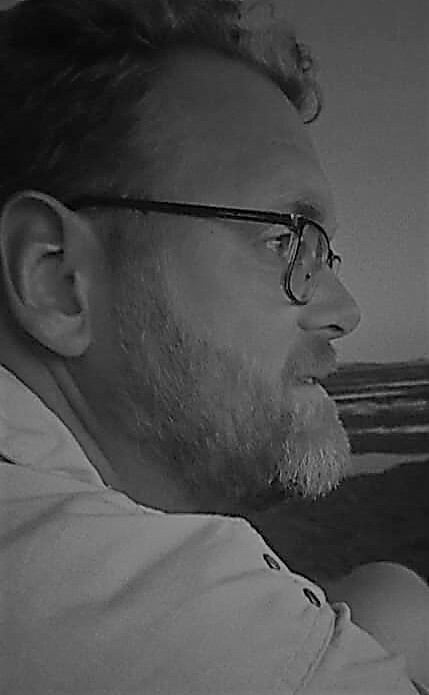 Since the Committee headed by Prof. Peter Adriaenssens stepped down in June, after all their files had been seized in an illegal police raid, the bishops have been working to revitalise their efforts the come clean with the horrors of the past decades and to offer recognition and healing to the victims. A Dutch report on the press conference, together with a link to the press statement as read by Bishop Bonny, may be found here. A translation of that statement, which outlines the future plans, is available here.